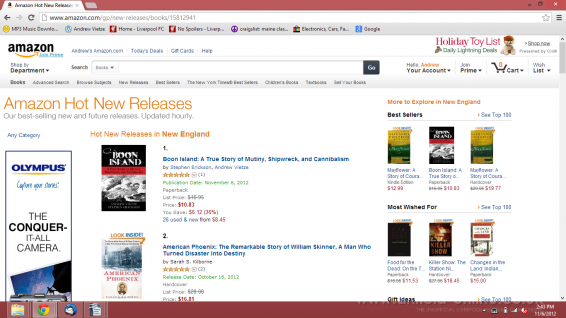 Boon Island is Amazon’s bestselling American history book! 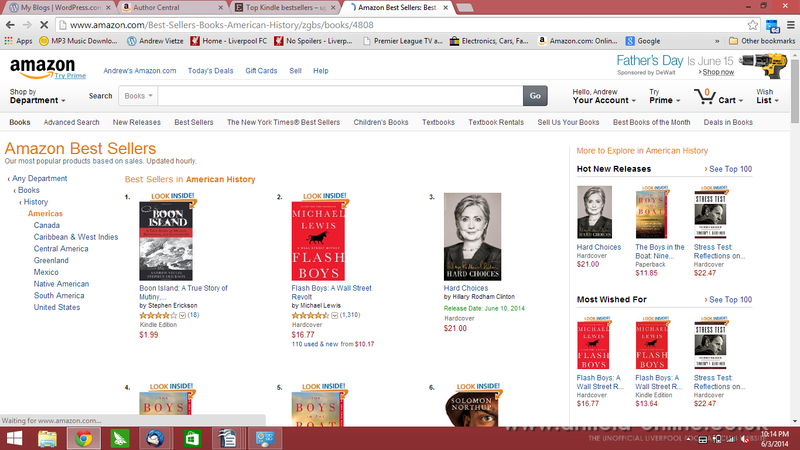 We bumped Michael Lewis and Hilary Clinton from the top spot. 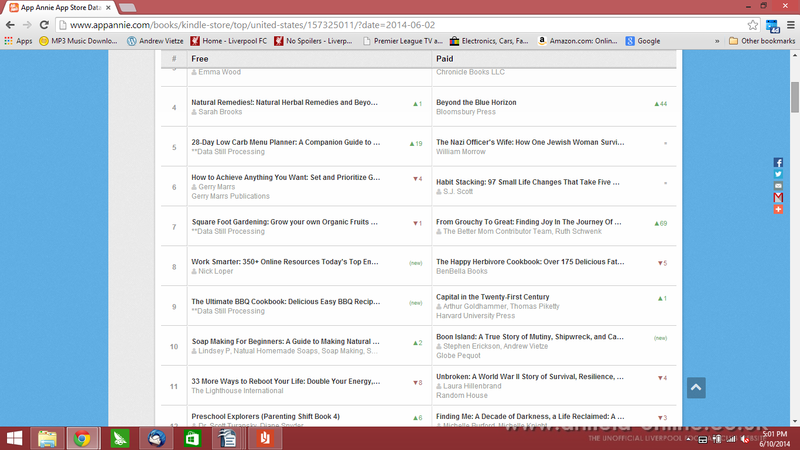 We also climbed to #10 on the nonfiction list, sandwiched in that sweet spot between Capital and Unbroken. The Travel Channel will feature Boon Island on the hit show “Monumental Mysteries” this June. I’m interviewed at length, and actors will portray Captain John Deane, Christopher Langman, and the suffering crew of the Nottingham Galley. The show will air on the Travel Channel and then be available for view on the “Monumental Mysteries” website. Boon Island wins a Gold at the IPPYs! 2013 Independent Publisher Book Awards! 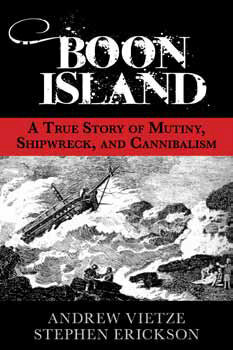 Boon Island is a 2012 Book of the Year finalist (ForeWord Reviews’ IndieFab Awards)! Now a #1 bestseller! Portsmouth Herald‘s bestseller list for the second week in a row . . next stop New York Times. Boon in the Bangor Daily! The press onslaught begins. . . Boon Island is now available at Amazon.